Man, let me tell you…that was a good conference. Just got back from a week at a student leadership conference, and God moved. I’m talking life-changing decisions were made, walls were broken down…OK STOP RIGHT THERE! 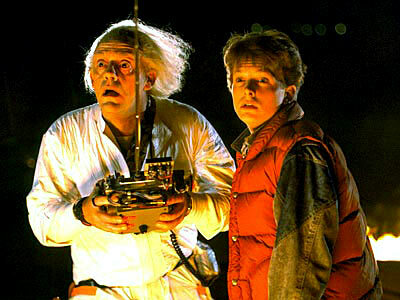 Let’s hope in the Delorean, make sure the Flux Capacitor is working, and set our date for 5 years from now. Are these students still on fire for God? Are they still following through with the decisions they made at the conference, or the camp, or the mission trip, or the FILL IN THE BLANK. Or do you find them making the same decisions, adrift from God at some university, attending the parties you hoped they wouldn’t, and sleeping in on Sunday mornings with little interest in opening that dusty Bible at the end of their shelf? I don’t want to look at the picture from that special week, and see them disappear from their spiritual high (forgive me for all the Back to the Future references, or just enjoy them). So how do we stop these students from falling off the mountain, from abandoning the spiritual high that they gained on these trips? How do we make sure these feelings, decisions, and life changes were not manufactured by the environment, by a bonfire experience, or simply not being on their cell phone/computer 13 hours a day? The all-important debrief – Try to do this before you leave. Because once you get back in the summer schedule, good luck getting all these students back to meet at one time. So discuss the week. Have them verbally give their commitments, have them sign their commitments, and pray for their commitments. Give them real-life situations that they may face, and talk it out. Warning: After an important spiritual decision, the enemy will use his firepower to take you down. Now, you don’t have to say it like this, but a warning is needed for them to understand they will be tested. If they made a decision about purity, expect a test. If they made a decision about respecting parents, expect a chore list when they get home just to see if they are serious. No need to scare them, but there is a need to bring them reality of the spiritual battle that is about to incur. Follow-up – Encourage them to tell someone that can keep them accountable. You follow up with them in their decisions. Pray for them and pray with them about their struggles. Show me the money – If they said they would serve more in ministry, then put them on the children’s church team. If they said they wanted to be more involved in youth group, then have them plan the activity. Don’t let their promises be like a bad politician commercial and promise all these things, but then don’t follow through. Give them opportunity for success and to follow through on their commitments. How do you help your students keep their spiritual high? 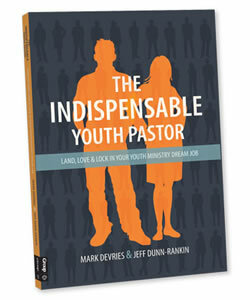 In my reading, there are few books out there that provide a more comprehensive look at the youth ministry position. Furthermore, the word that this book screams above most other books is PRACTICAL. If you are looking for a practical book to give you practices, models, organization, and overall ministry operation, then get this book in your hands. From how to get a position, to maintaining a position, to excelling in that said position…the book takes you through each step. Many of the personal lessons that were learned in these chapters I too had to learn the hard way. Maybe this book can save you from those tough times. If there was a target audience for this book, it would be youth ministry major or youth interns. They HAVE to read this book as part of their training. There is too much practical information for them to miss, and they need to pick up this book for, if any reason, so they can avoid some of the lumps along the way. If you read my blog, you know I hate this part. I hate saying anything bad about people’s books. I could never be a food critic or movie critic…unless it was the movie Hocus Pocus or any Barbie movie ever made (I have two daughters, in case you are wondering). Anyways, here we go. One problem I guess I had was the book was very general theologically. The last chapter tried to save it, but because there was such a wide audience, I felt there was little theological direction for some of the topics. That had, in large part, to do with the intent of the book to be practical. You could say well go read Crazy Love or Knowing God if you want that, but I guess I want that in any ministry book I read. Hope to post reviews to these books in due time. It’s the reason we have more than one mirror in our house, it’s the reason why ad slogans like “have it your way” or “because you’re worth it” appeal to us, it’s the reason why we get irritated when the food takes longer than 11 minutes at a restaurant, and it’s the reason why most master bathrooms come with two sinks. It’s because we are selfish. Maybe it’s because I have kids now, I am married, or I am in ministry…but the more I live my life, the more I realize how selfish I am. Another example, just look at how many times the singular pronoun “I’ was used in that last sentence – 6 times. Yikes! Life tends to be all about me, and even this blog article is trending that way now. So let me just stop talking about me for one second, because apparently that is very hard to do because of my own selfishness. Let’s talk about the Bible. 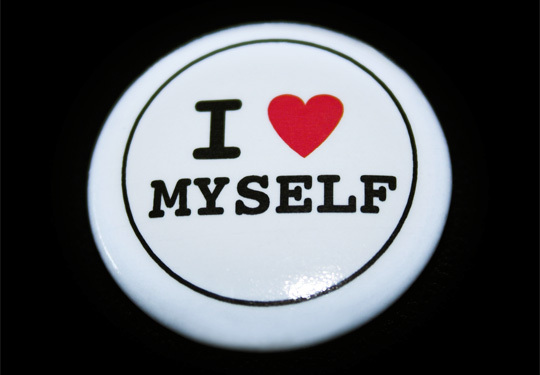 There is a reason why God’s Word is full of verses about selfishness…it is because we are full of ourselves. Each of us need reminded daily to rid ourselves of our own selfishness and start living a selfless life. You may have heard it said that if all who claimed to be Christians gave of their time and resources, we would have trouble finding places to put all of it. Churches would have to research what mission to support next, would have to Google where to donate the next batch of clothing, and would need to call around to see who needed help with their next month’s rent. Now these are the types of problems we should be facing! Not the problems of how can I feel more comfortable, or what will I get out of this arrangement. Remember, Chrisitan – Chirst = IAN (I AM NOTHING). Christ left us an example of selfless love, selfless sacrifice, and selfless living. It’s time we follow that example. I know I will go home and look in my 10 mirrors in my house, wash my face in my dual sink, sit down and eat my burger king…and think about it. How about you? Do you know what these things mean? Well, now you do. 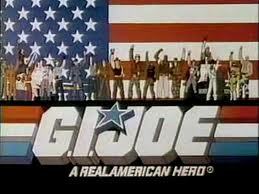 And knowing is half the battle….GI JOE! Warning: The week after mission trip can often produce blog posts like this.